Breakfast is the most important meal of the day, but brunch is its exciting, city-living cousin and she’s making waves in the culinary industry. But where can one get all this food in one place and still get work done? The fabulous Cutlery Works in Sheffield’s uber cool Kelham Island – a new-wave dining experience and co-working office space. Enjoy the enticing aromas of food and freshly roasted coffee as you get your work done at the Cutlery Works inviting co-working space. It’s completely free to use and whilst you’re there you can gain loyalty points via the Milestone Group App on the food and drink you buy. There’s no need to worry about hassle and contracts or charges – just relish in the beautiful creative space, together with super-fast WiFi. Whether you’re looking for light snacks to prep you for lunch, or toast groaning under mashed avocado to see you through to dinner, we at Yorkshire Food Guide can point you in the right direction. Let us get your mouth watering with breakfast. 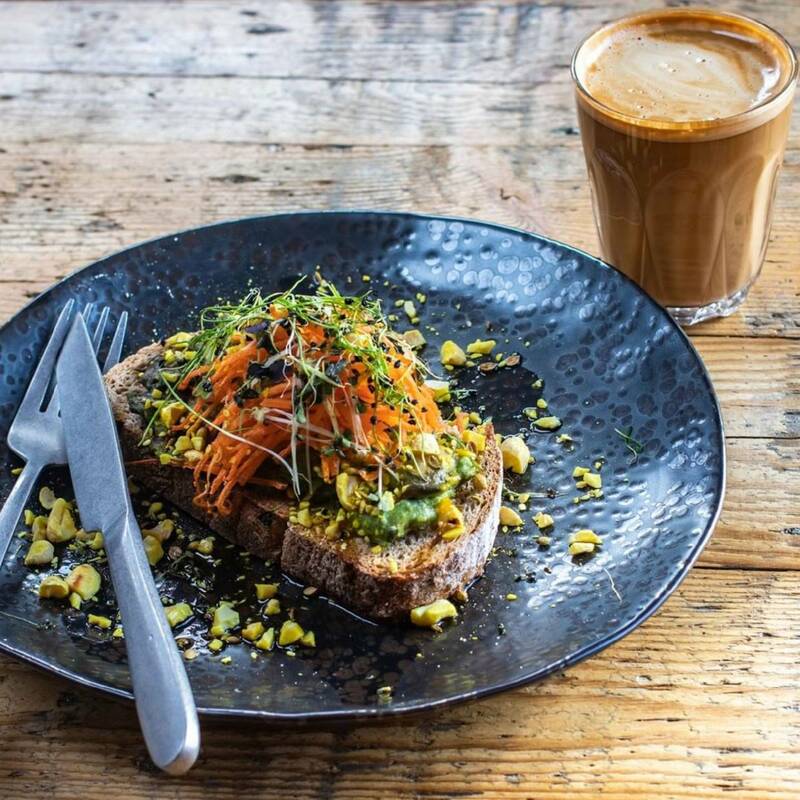 Many of us lead such hectic lives now that breakfast has become, sadly, a meal from childhood – so Foundry Coffee have an enticingly nostalgic menu for you. In the 70s, the only avocado in our homes was in the colour of our bathroom suites, and the folks at Foundry Coffee feel we need to remember that sometimes. They have revamped their breakfast fare, by offering a fun, retro self-service toaster station for bread, crumpets, teacakes and the enigmatic pop-tart! They will also have every topping you can think of running from bananas and Nutella to marmalades, jams and lemon curd to give you the infinite choice you deserve in the morning. A mighty selection of retro cereals served with Sheffield’s favourite Our Cow Molly milk. 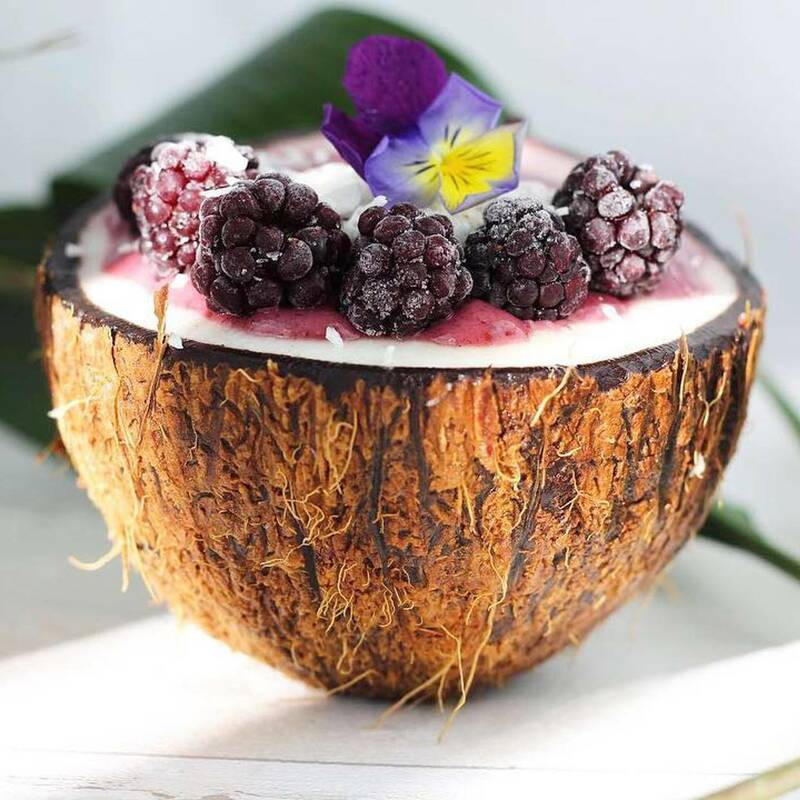 Froconut by Elly Joy serves up Instagram-worthy smoothie bowls which look like modern art, and three tremendous waffle flavours from the Live Fit savoury Cracked Black Pepper, to the sweet Treat Often Waffles with delicious Chocolate Orange. How do you like your eggs in the morning? Whatever way, Fin and Bone have you covered. Including the king of brunch, Salmon Royale with smoked salmon, poached eggs and hollandaise sauce sitting a buttery toasted crumpet. Or try the classic low carb style Steak and Eggs to really stoke your flames. Voted as Sheffield’s best South East Asian restaurant, Fiver Rivers Coffee Co offers a fabulous new take on breakfast and brunch. Try their Vietnamese take on the classic fry-up with sweet chilli sausage, bacon, beef, crispy tofu and Sriracha fried eggs, served with sautéed spring onion, bread and one of their homemade pates. At the Bullion Chocolate Factory and Coffee Bar, you can indulge yourself every morning, with freshly-roasted coffee and sumptuous pastries made with their exclusive Gold Bullion Chocolate. A decadent start to any day. The fitness lovers all know brunch is served best powerful and raw. Yes, as Popeye showed us 50 years ago, to get the boost you need to triumph in your day – it must be green! 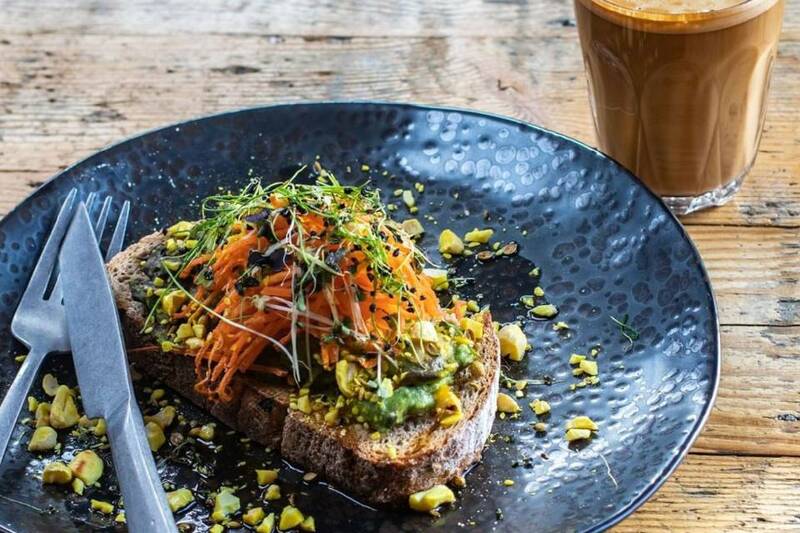 Shed at Cutlery Works is a tantalisingly on-trend take on plant-based food that takes the pretence out of veganism and offers you deliciously healthy dishes to get your day started. For those of a more meat-persuasion, The Gravy Train have their own fusion of the fry-up and Poutine – Google this term at your peril, you will be hungrier than you could ever imagine. A real Canadian game-changer. Their ‘Meaty’ comes with potato Waffles stuffed with Squeaky Cheese Curds and Sautéed Spring Onion, a Cumberland Sausage, Mapled Bacon, Baked Beans, Fried Mushrooms and topped with a Poached Egg. Vegetarians need not despair though, The Gravy Train offer a vegetarian option of this with all the sumptuous trimmings, just with Quorn sausages instead of pork. 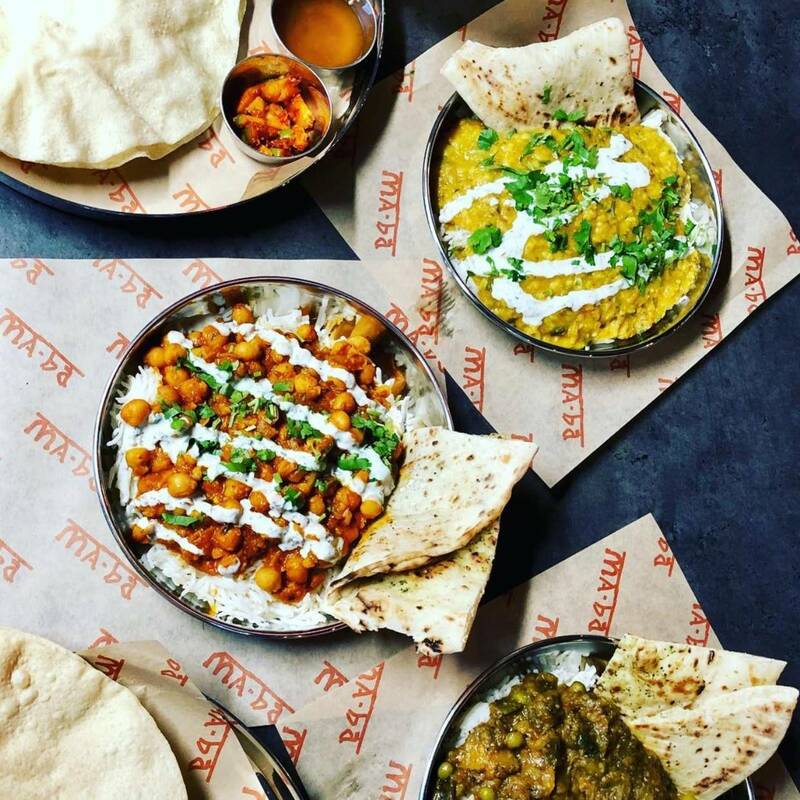 Ma-Ba a recent addition to the Sheffield food scene, are also offering a vibrant Indian breakfast menu. Made with love and passion, their recipes have been handed down through the generations to create a delicious ensemble of vegetarian Gujarati food to suit all. With the handy Milestone Group App, Cutlery Works presents the most relaxed start to your day, whether you’re an early bird or rocking up at 12 noon, you and your friends can order food straight to your table from any of the fabulous independent Sheffield vendors.